Somehow, I find it a task to get out all the ingredients to make things like muffins, pancakes, waffles and the like…. Therefore, to save time in the kitchen I make mixes of the dry ingredients and store for later. 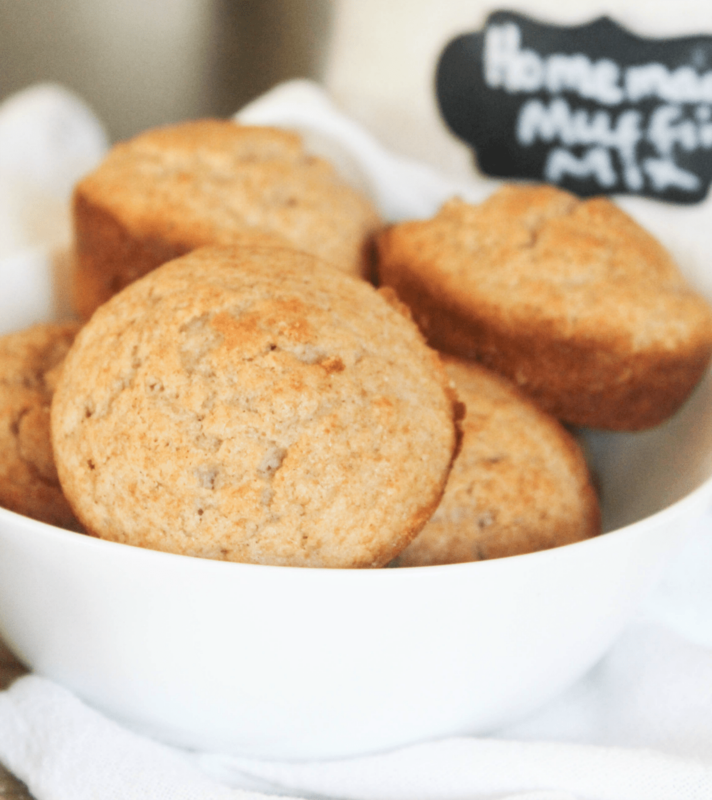 If you saw my muffin recipe, you know that I try to make a healthier version in batches so we can have them for snack or an occasional breakfast. The muffin mix has been very helpful already and I’ve been able to bake faster as a result. 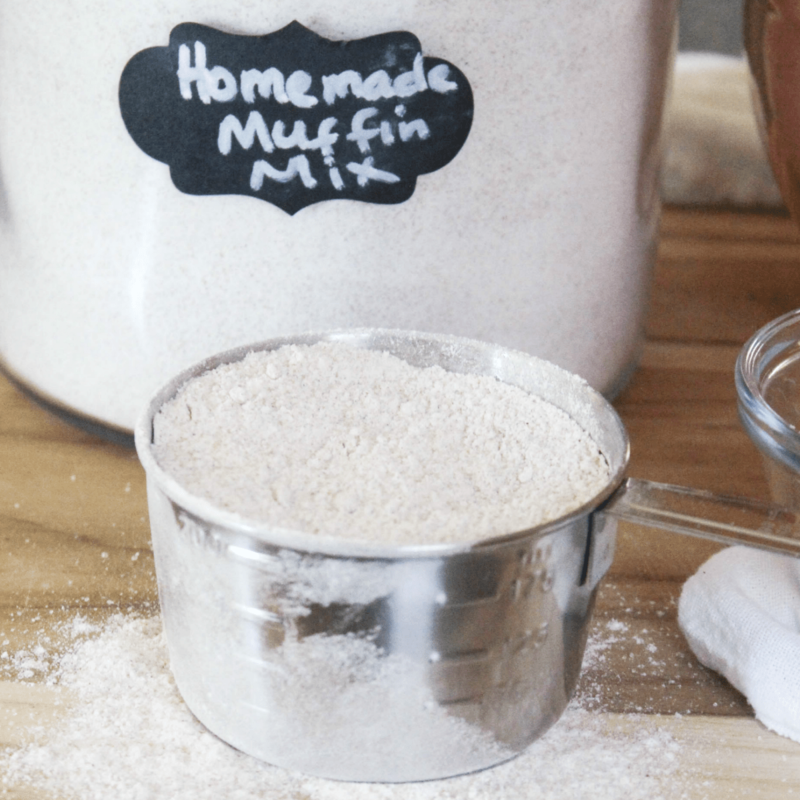 If you are looking to save a little time when baking things like muffins, you too may find it helpful to have the dry ingredients pre-mixed. Well, what about just buying the mix from a box? 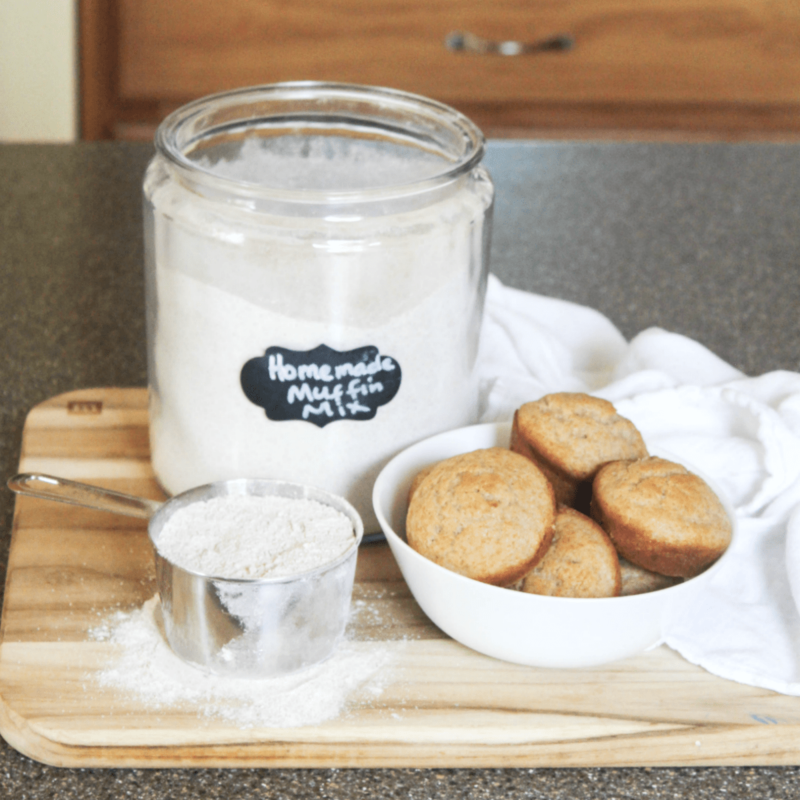 With your homemade mix, you know what ingredients you use and you can customize it to suit your taste. 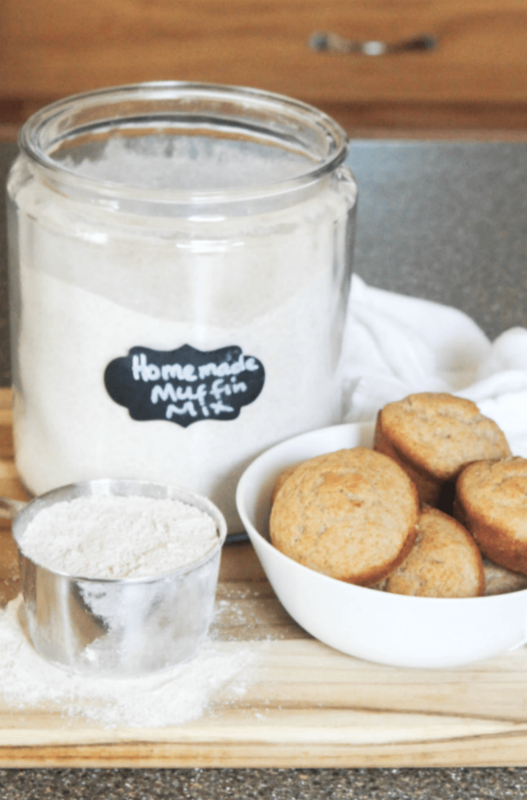 If you prefer a different type of flour than what comes in the box then you add it to your own mix. Another benefit is saving money. Once box of pre-mix may cost you just as much as buying a 5 1b bag of flour but with the flour you make way more for many uses to come. Mix wet ingredients and add to dry. Stir just until combined. Bake at 400 degrees for 12 minutes. Cool. To store muffins: Place in a freezer bag and heat each one 25 to 30 seconds when ready to eat. Do you make muffins and have to get out all the ingredients every time? 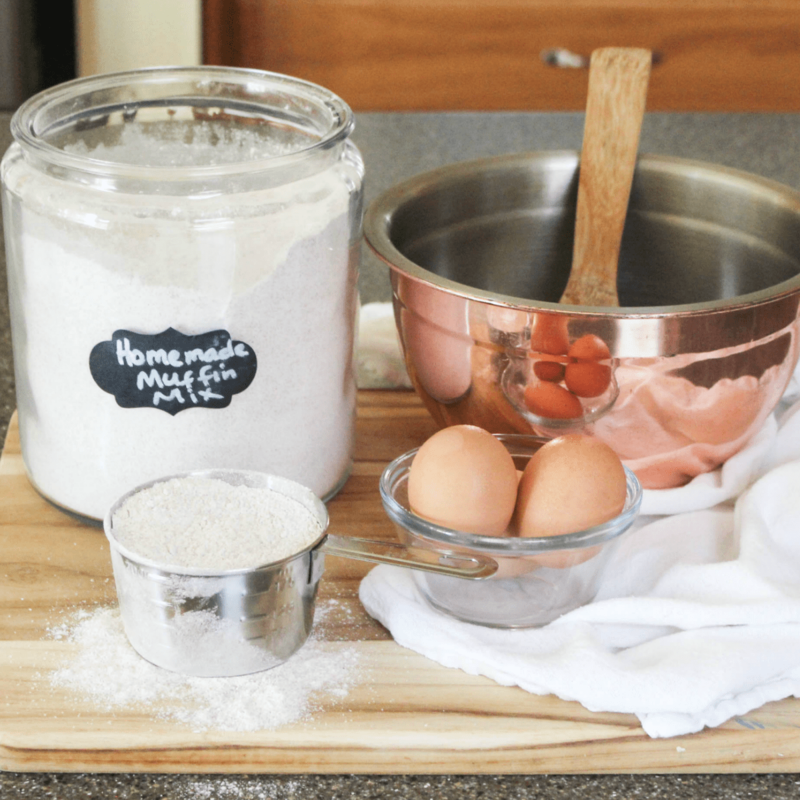 Could mixing the ingredients before hand save you much time in the kitchen?